Welcome home! 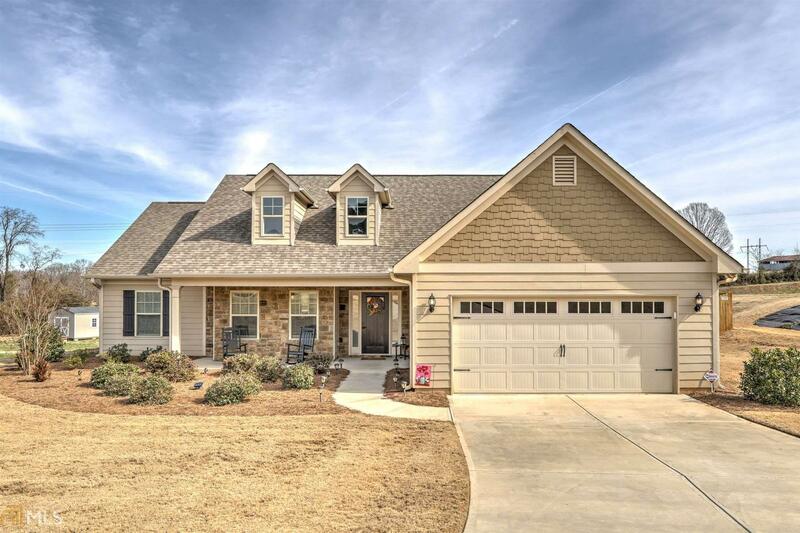 OPEN CONCEPT living in sought after school district in prime JACKSON County location. Sit awhile on the covered front porch or gather for the big game in the SPACIOUS LIVING room. Entertain in the formal dining room. Plenty of room to enjoy the outdoors under your covered patio, LEVEL, FENCED backyard. Retire to the spacious master suite with sitting area. Home features a SPLIT BEDROOM floor plan. Step into the elegant foyer and imagine the possibilities. Come take your private tour and GET MOVING! Directions: I85n To Exit 137, Turn Right On Hwy 129 To Left On Bus 129. Left On Storey Lane To Right On Storey Porter Road. Storey Meadows Subdivision Is On The Left. Home Will Be Down On The Right.